If your future includes a move to Fountain Valley, check out Meathead Movers! Our professionally trained student-athlete movers, moving concierge, and princess packers are prepared to get you safely moved into your new Fountain Valley home. 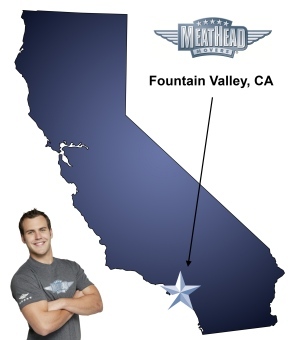 When you make your move to Fountain Valley, be sure to contact Meathead Movers. No matter what type of moving service you need, our student-athlete movers are ready to handle all your moving needs. Fountain Valley goes beyond typical bedroom communities, providing more than that standard cookie-cutter feel. If you’re moving to Fountain Valley for a new job or to enjoy the relaxing suburban life of the area, you’ll want to check out what Meathead Movers has to offer. With Mile Square Regional Park, a huge 607-acre park, Fountain Valley offers the perfect place for its residents to enjoy an active lifestyle. Not only does the park contain several 18-hole golf courses, basketball courts, baseball diamonds, soccer and football fields, tennis and racquetball courts, but the park also contains two lakes for water recreation activities. Fountain Valley is also located within Orange County, which means that residents of the city get to enjoy all the dining, entertainment, nightlife and shopping options around the area. If you’re considering moving here soon, be sure to check out what Meathead Movers has to offer. Meathead Movers is the top moving company in California for long-distance, commercial, and local moves. While other Fountain Valley movers hire temporary untrained help, Meathead Movers hires young, energetic student-athletes who are trying to work their way through school. All our movers are extensively screened and trained before they are allowed to join our team. Our Meatheads are clean-cut, drug-free, non-smoking individuals who will even jog to and from the truck when they’re not carrying your items to save you valuable time and money. If you have delicate items that need to be packed carefully away, we have just the service for you. Our sister company, Princess Packers, is here to ensure that all your possessions get safely to your new home. Our Princess Packers are professionally trained to pack even the most delicate items. We are here to help with every aspect of your move, so we include other services such as long and short term storage services, and support seven days a week through our complimentary concierge service. If you are moving to, from, or within Fountain Valley, be sure to contact us before signing with any other Fountain Valley mover. With a 100% satisfaction guarantee, you have nothing to lose. Give us a call today to learn more about what the Meathead Difference really means. Our staff can even give you a no-obligation, no-cost move quote. Moving to Fountain Valley? Here are some helpful resources. View more Fountain Valley resources. Everything was perfect except for the price was very very high. We are amazed with Spencer and Devon. They came with tools, energy and determination. They were awesome! Very impressed with the care they took regarding the newly painted walls and our "just installed" flooring. I can't thank them enough for getting that BIG refrigerator through the front door! And, oh what a project that turned out to be....EXCELLENT job! Two great guys, good at their jobs and super to have met them! Thank you Meathead Movers...???? Friendly, helpful service. Both young men sent to move me were professional, courteous, couldn't help enough! Wonderful service. From booking to finalizing the move - this company is extremely professional. The young gentlemen that assisted me in my move were very attentive and professional. It was a pleasure meeting them.